Note that this is only a draft program. Building and room assignments for concurrent sessions are subject to change. If you observe errors in your information, please notify us at uwciasinfo@gmail.com. Epic is a local health software company. Founded in 1979 in Madison, 190 million patients have a current electronic record in EPIC. The 950 acre campus features five distinctive building clusters with seven eating venues that serve 6,000-8,000 meals a day. Group meets at the Wisconsin Historical Society Library (2nd Floor) at 11am for an hour tour of collections. The Organic and Sustainable Agriculture Collection is a new addition to the Society’s archives, assembled for researchers to document the story of the food movement. The conference will include presentations from researchers currently using the collection. The collection consists of personal papers and organizational records which document the organic farming movement from the papers of F.H. (Franklin Hiram) King (b. 1848-d. 1911), UW-Madison professor of agricultural physics and author of the 1911 book Farmers of Forty Centuries, to ongoing organic farming conference recordings of the Midwest Organic and Sustainable Education Service (MOSES), 1990-present. Topics documented in the collection include the development of farmers’ organizations and state certification programs, the movement for a national organic standard and public input on this process, and related topics such as agricultural impact on the environment and conservation resource programs, animal welfare, organic research funding, and international initiatives in sustainable agriculture. This tour will visit two of Dane County’s social justice programs working in the food and agriculture space. The Farley Center is a nonprofit organization dedicated to promoting ecological sustainability, social justice and peace. We will learn about their farm incubator, where prospective farmers are provided with land, equipment and training to help them develop their businesses. The group will then visit Badger Rock Center, built to LEED Platinum standards on a 3.85-acre agricultural site on Madison’s racially and ethnically diverse South Side. This three-way community-based partnership emphasizes the role of urban agriculture in neighborhood resilience. Center for Resilient Cities, a nonprofit urban land trust that owns and operates Badger Rock, leads the Badger Rock Neighborhood Center and the Community Market. Badger Rock Middle School, which calls Badger Rock home, is a public charter middle school created to teach students through project-based learning and the lens of environmental sustainability and resilience. Community GroundWorks (CGW), the urban agriculture partner, provides seed-to-table urban agriculture and culinary instruction to BRMS students during the school year thanks to the season-extending greenhouse and hoop house. Milwaukee is home to many entrepreneurial food businesses and urban agriculture projects throughout the city. Milwaukee, through the HOME GR/OWN initiative empowers residents to transform neighborhoods by transforming vacant lots into community assets that spark new economic opportunities around local, healthy food production and distribution and healthy, vibrant new community spaces. To take in some of what the city offers, we organized two separate tours. Session A is on Milwaukee’s Southside. Session B is on the Northside. All conference participants are encouraged to share their ideas for the Hackathon at www.sustainablemeal.net. Defining and achieving sustainable diet is a complex, multi-layered challenge. Recent efforts to define a sustainable diet reduce the concept to nutrition, environmental sustainability, valued workforce, animal welfare and local economies. There are many other aspects that ideally are considered, such as how cultural factors shape foodways, the historical context of food provisioning, and power dynamics. There is little discussion and no agreement on what constitutes a sustainable diet, leaving it up to market instruments and fashion. A hackathon fulfills two purposes: gathering peoples’ creativity to solve a problem, but also redefining a problem by discussing it. Discussing the problem transforms our own perspective of it, sheds light on how others interpret it, and collectively develops a shared understanding. This day-long workshop will bring together conference goers with a local team of chefs, artists, farmers, scientists, food writers, sociologists, anthropologists, and other yet-to-be-imagined interested parties. Together the group will explore sustainable diets through gaming, deep conversation, and experiential activities to create a complex framework for thinking about what makes a meal sustainable. Hackathon participants will bring those data collected at www.sustainablemeal.net into the framework development. Participants will discuss the outcomes of the hackathon at a panel session later in the conference and create a framework representation for conference goers to consider. This is the second in a series of workgroups convened by Spatula & Barcode (http://spatulaandbarcode.net/). The first was convened together with Juan Carlos Rocha at the Programme on Climate and Society conference in Oaxaca, Mexico (November 2017). Native peoples, such as the Ho Chunk Nation, have long called southcentral Wisconsin home. They also played an important role in in shaping the terrestrial scene here, from the time of the receding Late Quaternary ice sheets to EuroAmerican settlement of the area in the mid-19th century. This tour will highlight the roles of nature and culture in shaping the surprisingly diverse ecosystems of southcentral Wisconsin, including prairies, oak openings, closed-canopy deciduous forests, mixed coniferous-deciduous forests, riparian forests, and wetlands. Native peoples used hundreds of plants from these communities for food, fiber, medicine, and myriad other uses. Archaeological and paleoecological evidence suggests that native peoples have actively managed their botanical resources since mid-Holocene times, primarily through planting, tending, selective tree felling, and burning. We will also see Pre-Columbian components of the built landscape in southcentral Wisconsin such as effigy mounds (ca 700-1050 AD) and relict agricultural fields. As we will see, native peoples were the original organic and sustainable agriculturalists in Wisconsin, practicing sophisticated raised field agriculture in marginal environments by 1000 AD. Topics: Field Trip Overview; Late Quaternary and Holocene Environmental History of the Four Lakes of Madison (Dejope); Winkler Pollen/Limnology Core. Topics: Social Relations and Spatial Structures of Effigy Mounds; Effigy Mounds and Ho Chunk History; Pre-Columbian and Historic Period Fire Regimes; Native American Resource Management. Topics: Archaic Stage Subsistence Economies (hunting, gathering, fishing); Medicinal Ethnobotany (Medicinal Plants are identified along the forest trail). Departs from the Pyle Center at 9am and returns to Pyle Center at 5pm. First stop is Larson Acres, a 2,800-cow confinement dairy (CAFO) that prides itself on community-involvement, environment, and animal welfare. We’ll see the feed bunkers, calf barns, maternity area, milking parlor, and a modern cross-vent barn. We may have time for Ed Larson’s Museum of dairy history. Check out Larsonacres.com for a preview. Second stop is the Uplands Dairy, a 230-cow seasonal, pasture-based, rotational grazing dairy farm that participates in the apprenticeship and beginning farmer programs. It is located in the “Driftless region” of southwest Wisconsin, known for its rolling hills, small farms, and vibrant local food communities. The third stop is the Uplands cheesemaking creamery, which produces hard, aged cheeses like those from the Alpine regions of France and Switzerland. Its Pleasant Ridge Reserve is the most-awarded cheese in American History. We’ll tour the facility and get a cheese tasting. Visit uplandscheese.com for a preview. Before heading back to Madison, we’ll facilitate a group discussion about the farm systems we’ve visited, including the relative merits of CAFOs vs. smaller farms and confinement vs. grazing. These guidelines are for presenters in panel sessions and Roundtables. Your presentation is accepted within the pre-organized panel with which you submitted it. You and your colleagues will have one, 100-minute session for your organized panel. Typically, presenters take approximately 15 minutes to discuss their contribution. Afterwards, the floor is opened for 20 minutes discussion and questions from the audience. It is best to take questions after all have presented, rather than after individual presentations, to ensure ample time for all papers to be heard. Do note: the amount of time you have for presenting depends on how many papers are in your 100-minute session. Please keep in mind that it takes time to transition from paper to paper, including accessing any powerpoint presentations you have, and that you need to leave time for questions. If your session has arranged, in advance, to have a discussant, please account for the that speaker’s time when planning the length of your talk. Pyle Center Van Hise Lounge (lower level)) is the Speaker Ready Room. Presenters scheduled for sessions at Pyle Center are encouraged to bring their thumb drive to the Speaker Ready Room to test their content on one of the available laptops no less than 2 hours prior to their scheduled presentation. The Speaker Ready Room is open 8:00am – 4:00pm on 6/13, 8:00am – 5:30pm on 6/14 & 6/15, and 8:00am – 10:00am on 6/16. The Speaker Ready Room will have network folders for you to save your presentation(s), labeled by session letter and number. Once saved in the network folder, presentations will automatically be available to view in the appropriate presentation room. Double check that media with a presentation (videos, audio, pictures) display properly while in the Speaker Ready Room. Session rooms are equipped with in-room computers and projection systems. The use of personal laptops is discouraged. Bring your presentation on a thumb drive, even if you bring your own laptop. The software on the in-room computers will support, Word, Power Point, and Excel. Mac-based presentations (Keynote, Pages, Numbers, etc.) can be saved as PDF’s. An in-room phone is available if technical assistance is needed. Please arrive to your session early to set up your presentation and test any media. Mac laptops will be available in all session rooms at Memorial Union. The Macs run Microsoft Office Suite, a PDF reader and Keynote. Bring your presentation on a thumb drive even if you bring your laptop. A laptop will already be connected to the in-room AV system. Insert your thumb drive and open your presentation. If you are using your own laptop, both a VGA and MDMI connector will be available. An in room phone is available if technical assistance is needed. Please arrive early to your session to set up your presentation and test any media. All presenters at Memorial Library will need to bring their own laptop. Both VGA and HDMI connections are available. All presenters at WHS Auditorium will need to bring their own laptop. The projector is equipped with a VGA connection only. NO AV services are available for sessions assigned to Lowell Center. Each session has a Chair. The Chair is a volunteer, often one of the presenters from the session, who is responsible for helping the session run smoothly–reminding presenters of time guidelines, usually introducing each presenter, moderating the question and answer time, ensuring that all powerpoint presentations are cued and ready to go, communicating with conference planners if there are any technological problems. To keep the busy conference schedule running smoothly, Chairs will have to cut off presenters who go beyond their allotted time. You and your co-presenters will have autonomy to organize one, 100-minute session, around the theme outlined in your abstract. Round tables/ alternative sessions will not have projector, screens, or computing access. If your presentation requires visual aids, we suggest you bring handouts or a laptop computer. Wi-Fi will be available in the meeting space. We invite you to prepare a poster outlining the key contributions of your research paper to be presented during the poster session at the conference. Posters will be attached to presentation boards with the dimensions of 4 feet by 4 feet. Please arrive at Pyle Center Alumni Lounge between 8:00 AM – 11:00AM on 6/15 to set up your poster. When you arrive at the session location, you will find your location assignment and hang your poster. Conference organizers will provide boards and tacks for you to hang your paper. You should expect to give short, informal overviews of your research topic and findings to fellow conference attendees who will be circulating through the poster session. You are expected to be at your poster from 12:00 – 1:30 pm. Most attendees will want to roam through and look at various posters, so they will likely spend just a few minutes with you before moving on. The Poster Session takes place during the lunch break on 6/15 from 12:10pm – 1:30 pm in the Pyle Center Alumni Lounge. Please leave your poster up until 3:00pm for registrants to view posters throughout the afternoon. Pick your poster up by 3:00pm. Unclaimed posters will be brought to the front desk. This is an “on your own” lunch, however, there is an option to purchase a Bag Lunch from Working Class Catering during the registration process. Find out more about Working Class Catering on the Social Events panel on the Program page. Please note, no “carry – in“ lunches are allowed at the poster session. Support Wormfarm Institute with your t-shirt purchase. See the t-shirt here; Agri Culture Shock. You will have the option to purchase a t-shirt during the registration process. The cost of the t-shirt is $25 (plus tax). All proceeds will go toward the Wormfarm Institute’s annual Fermentation Fest held in the wilds of the Baraboo Hills, north of Madison, WI. Fermentation Fest is a Live Culture Convergence celebrating food, farming and fermentation. The signature Farm/Art DTour, a 50 mile self- guided drive through scenic working lands punctuated by temporary art installations, pasture performances and more, is on a biennial schedule and will return to the Fest in Autumn 2018. Donna Neuwirth is co-founder and Executive Director of Wormfarm Institute whose mission is to integrate culture and agriculture to build thriving communities across the rural/urban continuum. After many years in art and theater in Chicago, Neuwirth and co-founder Jay Salinas moved to a small farm in Wisconsin. Seduced by the life in the soil and struck by the parallels in process between farming and art making, they formed the Wormfarm in 2000 and began an Artist Residency program. A self-described impresario with a BFA in theater from The School of Art Institute of Chicago, Donna has led numerous projects inspired by, and centered at the fertile intersection of culture and agriculture including Wormfarm’s annual Fermentation Fest – A Live Culture Convergence which received both NEA Our Town and ArtPlace grants in their initial year of funding. Former NEA Chair Rocco Landesman has called Wormfarm “the poster child for creative placemaking”. 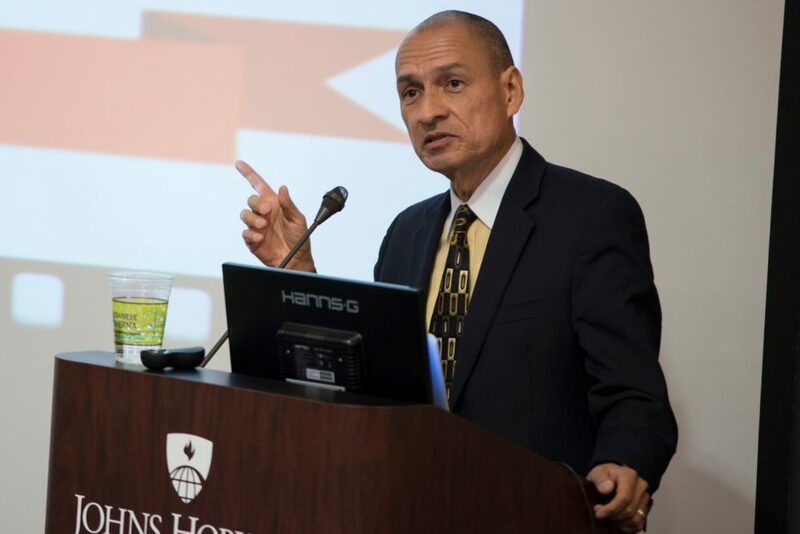 As the senior scientist and director of the Food and Environment Program at the Union of Concerned Scientists, Ricardo Salvador works with citizens, scientists, economists, and politicians to transition our current food system into one that grows healthy foods while employing sustainable and socially equitable practices. Before coming to UCS, he served as a program officer for food, health and well-being with the W.K. Kellogg Foundation, associate professors of agronomy at Iowa State University, and as an Extension educator with Texas A&M University. Rowen White is a Seed Keeper from the Mohawk community of Akwesasne and a passionate activist for seed sovereignty. She is the director and founder of Sierra Seeds, an innovative organic seed cooperative focusing on local seed production and education, based in Nevada City, California. 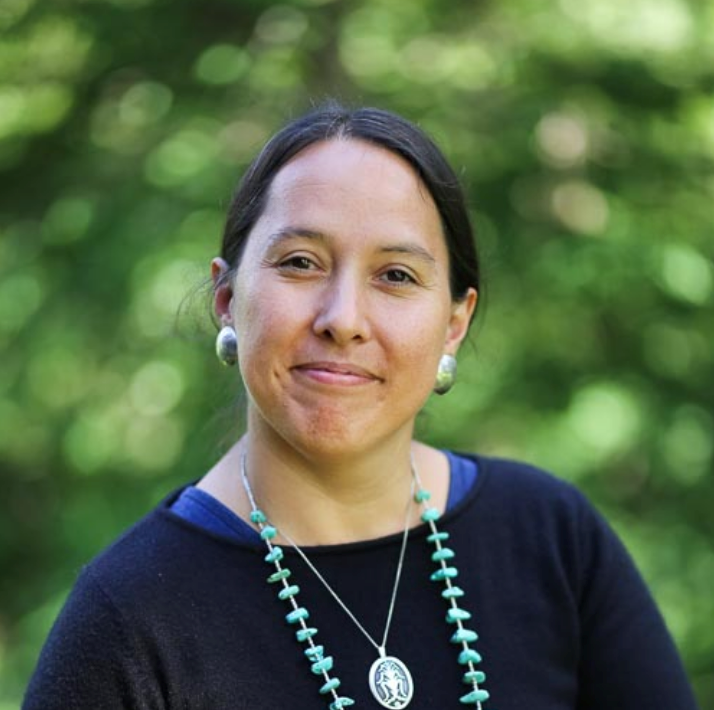 She teaches creative seed training immersions around the country within tribal and small farming communities. She weaves stories of seeds, food, culture and sacred Earth stewardship on her blog, Seed Songs. Rowen also serves on the Seed Savers Exchange Board of Directors as Chair. Claudia Serrato, graduate student at University of Washington, lecturer at Cal Poly Pomona, co-founder of Across our Kitchen Tables, and our guest chef. To encourage creative, improvisational and connected thinking, conference organizers offer this Poke and Provoke session to help us synthesize what we are learning. Six leaders in agroecological thinking and political action will come together to give a short, provocative statement based on their understanding, experience, observation, and research or share something that happened at the conference. Panelists will discuss these issues together. The audience will then be invited to participate in the discussion about ways forward to create a just food system. Room of One’s Own, Madison’s Independent Bookseller, will be on site to provide books written by authors presenting at the conference. Books may be purchased at Room’s table at the Pyle Center on the 2nd floor. On-site hours are Thursday and Friday, 9 a.m. -4:00 p.m. and Saturday, 9:00 a.m. -2:00 p.m.
Jacques Rousseau – University of Cape Town, School of Management Studies; 11:00 a.m.- 12:00 p.m.
Keefe Keeley – Savanna Institute, Madison, WI; 12:00 p.m. – 1:00 p.m.
Eloisa Gomez – University of Wisconsin – Extension, Milwaukee County; 1:00 p.m. –2:00 p.m.
Jonathan Kauffman – San Francisco Chronicle; 11:00 a.m. 12:00 p.m.
Elizabeth Hoover – Brown University, Department of American Studies; 12:00 p.m. – 1:00 p.m.
LOCAL AUTHORS 1:00 p.m. – 2:00 p.m.
Annessa Babic – freelance; 2:00 p.m. – 3:00 p.m.
Curt Meine – The Aldo Leopold Foundation, Baraboo, WI – 2:00 p.m. – 3:00 p.m.
Alice Weinreb – Loyola University Chicago, Department of History; 2:00 p.m. – 3:00 p.m.
Ty Matejowsky – University of Central Florida, Department of Anthropology; 2:00 p.m.- 3:00 p.m.
12:10 PM – 1:30 PM On Your Own Lunch. Pick up for the pre-purchased Working Class bagged lunch is in the Pyle Center Lee Lounge. Ticket required for bagged lunch. 9:00 PM – 11:00 PM Social On Your Own – Memorial Union Terrace – Free Live Outdoor Music and Beverages On Your Own at Memorial Union Terrace. A local favorite Paul Cebar is one part early R&B, another part Pan-African Lilt, some Afro Cuban by way of New Orleans, and true Midwesterner! Free and your nametag is your guest Union membership for the night. 6:00 AM – 2:00 PM Dane County Farmer’s Market – To walk with a group, meet at 6:30a.m. at the Wisconsin Historical Museum on the capital square. Wear your name badge so we can identify each other. Time: 5:00 p.m. – 7:00 p.m. with welcome from the conference co-chairs at 5:45 p.m. Located on the beautiful shores of Lake Mendota, in the heart of campus, join us for an evening of networking and local fare as we kick off the 2018 annual meeting. All attendees will need a conference badge to attend. Registration is open at the Pyle Center on 6/13 from 7:00am – 4:00pm. Registration will be available at Tripp Commons from 4:30pm – 7:00pm. The Conference Co-Chairs will be giving a welcome at 6:00 p.m., followed by opening remarks from Associate Dean for Extension and Outreach, Doug Reinemann. The featured speaker for this event is Donna Neuwirth, Wormfarm Institute. Location: Mosse Humanities Building, 7th Floor Department of Art Gallery (across Library Mall, enter “Art” door on ground floor), 455 University Ave. Registered students are invited to a networking social specifically for the young professional on the Pyle Center Rooftop following the keynote address. Beverages and snacks will be available along with a gorgeous view of Lake Mendota. Join in the conversation! Time: 9:00 p.m. – ? This is an “on your own” event. After the Graduate Student and Young Professionals Social Networking Event, gather on the Pyle Center front steps for a walk/ride to the Shamrock Bar & Grill. Time: 9:00 p.m. -11:00 p.m.
Fee: Free. Your name tag is your guest membership for adult beverages. A recommendation from the locals…..VO5 band is so much fun! VO5 is a group of local musicians who dress up in the funkiest outfits and play 70’s covers and some originals. The crowds love to dance to the music of ABBA, Earth Wind and Fire, and all the oldies but goodies. If you want a local experience with a beloved band, stop by the Memorial Union for a beverage, fun live music, and a warm summer night along the Lake Mendota shore. To cool off, grab a scoop of Babcock Hall Dairy Ice cream at the Union’s ice cream shop featuring flavors created by UW Dairy Science students. Time: 12:10 p.m. to 1:30 p.m. The poster session will be held on June 15, during the lunch break. This is an “on your own” meal, but this bag lunch option is a great way to enjoy some local fare and attend the poster session. Enjoy a picnic lunch prepared with some of Wisconsin’s finest ingredients by teens employed by Working Class Catering, a program area of the Goodman Community Center, a nonprofit organization on Madison’s near-east side. Working Class Catering is part of the Center’s larger Teenworks program that teaches food safety, science, English, math, culinary arts, urban agriculture and a Seed to Table curriculum to high school students, aged 15-21, who may be struggling at their current schools. Each bagged lunch will include a sandwich (vegetarian, vegan, and gluten-free options), a side or two, and a drink that showcases Working Class Catering’s creativity and dedication to sourcing from farmers and food businesses that are working to build fair and resilient food systems here in Wisconsin. Time: 12:10 p.m. to 1:30 p.m. with Presenters; 1:30-3:10pm will be open viewing. The poster session will be held on June 15, during the lunch break. This is an “on your own” lunch hour but we hope you will come by the Alumni Lounge and see the great research your colleagues have prepared to present to you. Event Time: 5:30 p.m. – 10:00 p.m. Plated Meal and Chef introduction promptly at 6:00 p.m. and the banquet address at 6:30 p.m.
Take the lakeshore path located behind Memorial Union, for a leisurely stroll to Dejope Dining Hall; Follow the signage along the trail. The evening will feature a locally curated and sourced menu, created in collaboration with UW Dining Services. The plated meals will be served promptly at 6:00 p.m. with words from the Chef. Rowen White, Sierra Seeds, will give the banquet address at 6:30 p.m.. A dance will follow dinner, on the lawn outside Dejope and the adjacent fire circle. Graminy will be performing live “class-grass”, perfect for dancing! For guests not wanting to walk, the Dejope Dining Hall is located along the #80 free campus bus route. See AFHVS Campus Walking Map and Free Bus For those interested in driving, Lot 62 located along Observatory Dr., is free after 4:30 p.m.
A Madison party favorite, the Handphibians Brazilian Drum Group will be joining the fun towards the end of the evening from 9:00-9:30 p.m.! Handphibians are a Madison Wisconsin based community percussion ensemble, dedicated to promoting the music and cultural traditions of Brazil. Join the fun with a Brazilian drum beat as we close out the night. Take the lakeshore path located behind Memorial Union, for a leisurely stroll to Dejope Dining Hall. For guests not wanting to walk, the Dejope Dining Hall is located along the #80 free campus bus route. See AFHVS Campus Walking Map and Free Bus For those interested in driving, Lot 62 located along Observatory Dr., is free after 4:30 p.m.
A recommendation from the locals…..Paul Cebar! Madison is known as a summer outdoor festival town and Paul Cebar is one of the favorite bands. One part early R&B, another part Pan-African Lilt, some Afro Cuban by way of New Orleans, and true Midwesterner! Great musicianship, original music, and a lovely summer night! If you want a local experience, stop by the Memorial Union for a beverage, fun live music, and a warm summer night along the Lake Mendota shore. To cool off, grab a scoop of Babcock Hall Dairy Ice cream at the Union’s ice cream shop featuring flavors created by UW Dairy Science students. Location: Madison’s Capital Square. If you would like to peruse with others, wear your name badge and meet at 6:30 a.m. in front of the Wisconsin Historical Museum at the corner of State Street and Carroll St. Look for others wearing name badges. Before the conference kicks off on Saturday, we highly recommend you visit the country’s largest farmer’s markets on the Madison, WI capital square. You will find the seasons best bounty of fresh produce, bakery, cheese, meat, eggs, jams, coffee, and flowers. There is also jewelry, musicians, artists, and the Madison community gathered April – October to feast on the local fair. All the items for sale are grown, raised, and produced in Wisconsin by the person behind the stand. The Alumni Lounge features floor to ceiling windows with stunning views of Lake Mendota and access to an outside veranda. The event features a locally sourced menu, served buffet style. The Pyle Center is an avid supporter of local shelters and all leftover food is sent to local shelters to support their mission. For nearly two decades, Claudia Serrato, (she/her/they/their) dedicates herself to the study of food, the body, healing, and decolonization. In 1998, questioning ethnic, cultural, and racialized determinants of health that placed her at risk for food related diseases, Claudia took preventative health measures by returning to her ancestral foodways, a Native and plant-based diet, an “Indigenous Veganism.” Eating earth-based, fed her creative passion to produce critical Xicanx short reflective writings on decolonizing the diet and the coloniality of food first featured in 2008 on the blog, Decolonial Food for Thought. In 2011, while expecting, Claudia indigenized her prenatal nutrition and seasoned her amniotic fluid with ancestral flavors towards decolonizing her baby’s taste buds. This womb ecology informs Serrato’s truth-telling and critical decolonial Xicana feminist sazón that has been tasted, heard, smelled, touched and/or seen in and out of institutions, community, home, and kitchen spaces. In la cocina, since the age of five, chef Claudia cooks up plant (raw/vegan) and Indigenous based foods at Native food summits and gatherings throughout Turtle Island, alongside Indigenous grassroot to high profile chefs. She also caters community events and hosts pop up dinners for Cocina Manakurhini, a business she co-found. In the community, Serrato teaches cooking classes, facilitates food demonstrations and workshops, and provides professional consultation services to individuals and organizations. Serrato is also the cofounder of Across Our Kitchen Tables, a women of color culinary resource and network hub. As a multi-issue social justice public activist scholar, Claudia speaks at university campuses, classrooms, cultural gatherings, and radio programming on decolonization, Indigenous veganism, womb ecology, and Native women in the kitchen. She can be heard on Feminist Magazine, Animal Voices, Toasted Sister and Native American Calling. 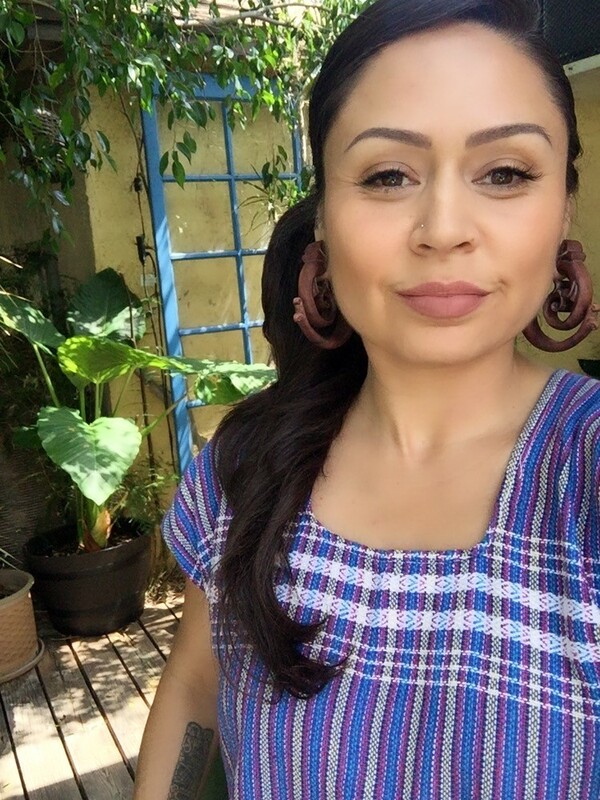 In the academy, Claudia Serrato is a PhD candidate of Anthropology from the University of Washington and holds two lecturer positions at Cal Poly Pomona for the department of Ethnic and Women’s Studies and Regenerative Studies. She holds two MA’s in Anthropology and Mexican American Studies and a BA in Gender, Ethnicity and Multicultural Studies. In her time in “betwixt and between,” Claudia enjoys (w)riting and cooking flavors of decolonial love, all while learning about local regional wild plant foods, seed saving, growing food, and nurturing her children by continuing to decolonize their palates. Plated Meal Served Promptly at 6:00 p.m. with words from the Chef Claudia Serrato. Rowen White will give the program talk at 6:30 p.m.